Grizzly golf is swinging hard and hitting far. 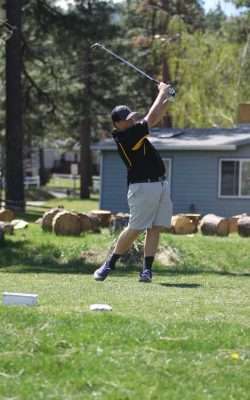 The Lassen High School boys’ golf team hosted teams from Oroville High School and Weed High School Monday, April 23. The Grizzlies showed great skill against the 18 holes at the Diamond Mountain Golf Course and ended up with a 503 score to steal the win. 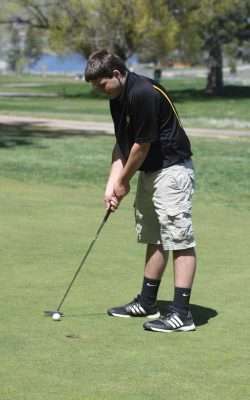 During the home match, Tyler Eidson had the lowest stroke count of the Grizzlies with 91 recorded. William Betebide finished with a count of 94, Trevor Hahn finished with 99 strokes, Ryan DelCarlo with 108, Logan Ernaga with 111 and Kaiden Andrews with 113. The scores of Eidson, Beterbide, Hahn, DelCarlo and Ernaga allowed the Grizzlies to finish in the lead with a total of 503 strokes recorded for the team. Oroville finished in second place for the match with a team stroke count of 548 and Weed finished with 580 strokes recorded. 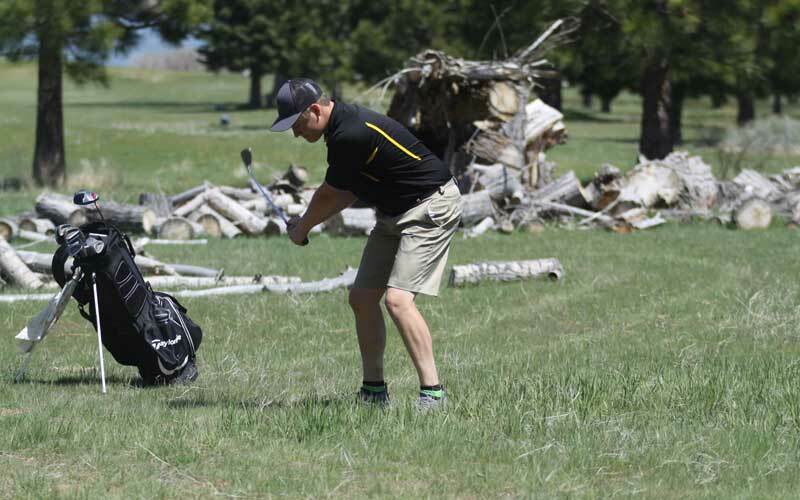 Prior to the home match, the Grizzlies traveled to Tierra Oaks Golf Course for a league match against players from Anderson, Central Valley, U-Prep and West Valley high schools April 12. While at the U-Prep hosted match, Lassen finished in third place with a front nine stroke tally of 306 and a back nine tally of 294. First place went to U-Prep with tallies of 220 and 215 for front and back nine, respectively. Second place went to West Valley with tallies of 220 and 224, respectively. Anderson’s team had 320 strokes for the front nine and did not have enough participants in the back nine to contribute a valid score. Central Valley did not have enough participants for either the front nor the back nine. 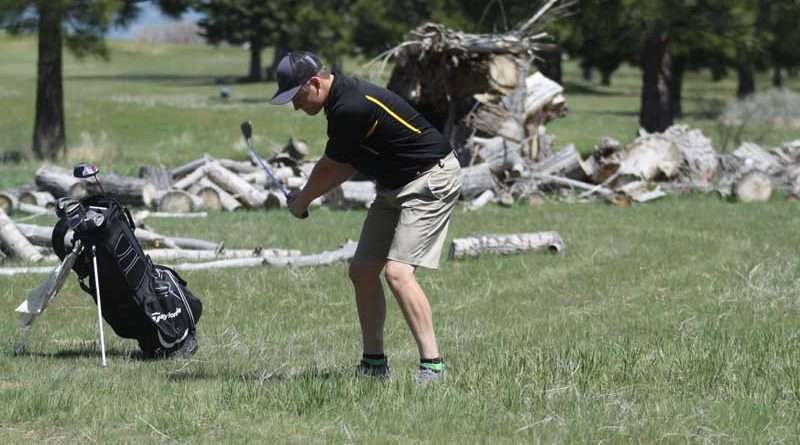 Of the Grizzlies participating in the April 12 match, Eidson was the first-place finisher with a total stroke count of 100, splitting 50 even on both the front and back nine. Beteride finished the front nine with a tally of 62 and the back with a tally of 49 to total at 111. Hahn was third with a 63 for the front and a 57 for the back to total at 120. DelCarlo had 62 strokes for the front nine and 68 for the back to total at 130. Andrews had 69 strokes recorded for the front nine and 70 for the back nine to total at 139. Ryan Lilly finished with 73 strokes for the front nine and 74 for the back to total at 147.